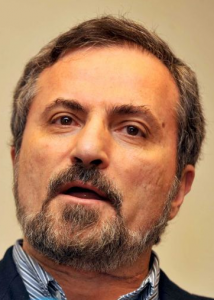 05 September 2013 When the main Syrian opposition group speaks, it is often through a longtime U.S. resident whose ties to Islamist extremists were detailed in a 2010 Dallas Morning News report. Safi used to work occasionally on U.S. Army bases, teaching soldiers about his Islamic faith. But as we reported in 2010, he was suspended shortly after the Fort Hood massacre and subjected to a military criminal investigation. Details of the military investigation have never been released publicly. But Safi’s suspension remains in effect, military officials confirmed this week. The GMBDW had exposed most of this same information in a post from September 2011. For more info on Louay Safi, go here.